Hair Bleaching – Do you know how to avoid the mistakes? The choice can be baffling when it comes to choosing the right hair color! Trying to navigate the world of hair color can be as daunting as learning auto mechanics. One mistake and you’re at the mercy of an industry insider, hoping your credit card can cover the bill. Learning the basic science of hair color however, can maximize your chance for success both at the salon and at home. Four main types of hair dyes used today (temporary, semi-permanent, demi-permanent, and permanent) are available to professionals and do-it-yourselfer. Each type has a specific chemistry, giving it certain capabilities and limitations of providing the color you want. Temporary hair dyes can only penetrate into the hair’s cuticle, or outer layer. The dyes are water-soluble, which means they rinse out with the first shampoo. They are applied to clean damp hair as a leave-in treatment. Temporary hair dyes can be used daily or on special occasions and are best used for refining hair tones. For example, if your blonde hair color is too golden, you can use a light violet-based rinse to create a more neutral or platinum effect. Temporary hair dyes do not cover grey hair; however they can often be used in-between permanent color applications to blend new growth. Semi-permanent hair dyes penetrate into the hair’s cortex or inner structure and therefore stay on your hair longer. These dyes are typically made for shampoo-in applications with a processing time of 20-40 minutes. Semi-permanent hair color has no ammonia or peroxide, so it does not alter natural hair pigment (no lightening). The tiny color molecules eventually wash out in about 4-12 shampoos. Because the dye is applied to the entire length of the hair, distribution of the dyes can be unpredictable. For example, resistant grey hair may only receive up to 50% coverage where as porous, over-processed hair may receive 100% coverage and then fade more rapidly. Semi-permanent hair color is a good option for blending old highlights, achieving a darker shade, and blending grey. Demi-permanent hair dyes work differently than temporary or semi-permanent dyes in that the color molecules start out small so they can penetrate into the cortex. With the help of peroxide, the small molecules bind together to form large color molecules that are trapped inside the cortex. The color lasts around 6-8 weeks depending on frequency of shampoos. Like semi-permanent color, the absence of an alkalizing agent (typically ammonia) means that the natural pigments of the hair will not be disrupted and your hair will not lighten. Demi-permanent hair dyes are a good option for achieving a darker shade. It’s also great for coloring over-processed/damaged hair or growing out old color. For instance, if hair has been colored or highlighted and the person wants to return to their natural color, demi-permanent color can be used to cover the lighter hair without altering the new-growth. Permanent hair dyes works similarly to demi-permanent dye, except for the presence of an alkalizing agent. 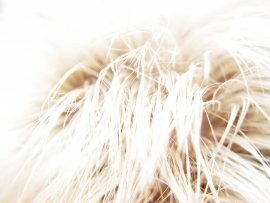 The alkalizing agent opens the cuticle and swells the cortex, leaving the hair’s natural pigment vulnerable to the peroxide. The color molecules can then bind to the natural pigment, creating a permanent change. One misconception about permanent color is that it won’t fade. 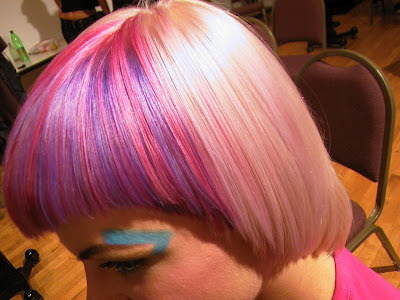 Any color deposited into the hair will eventually fade. The permanent change can then be seen as the hair is left lighter than before the color was applied. 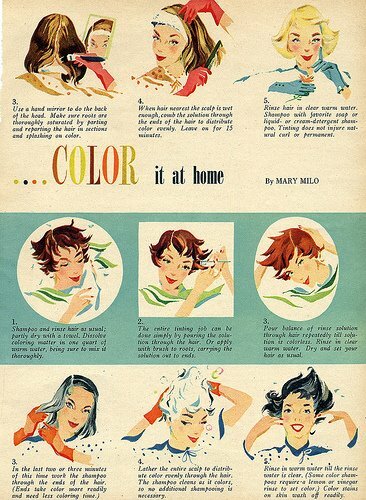 For this reason, a refresher is required every so often to keep your hair color looking its best. Permanent hair dyes are a good option for covering grey hair or lightening hair. To create the best results, there are two important rules to keep in mind about permanent hair color: 1) it can only color natural pigment and will not work on color-treated hair and 2) it can only lighten up to four shades. This commonly creates a problem for women who have been dying their hair blonde for years. Over time, they notice that the same color doesn’t seem to make them blonde anymore. This is likely due to darkening of their natural color over time and four levels of lift are no longer enough. 1) If hair has been pre-lightened; semi-permanent color may act as demi-permanent or permanent color causing the pigment to stay in the hair longer. 2) Many shampoos have a high pH which acts like an alkalizing agent in the hair, thus allowing dye to bind with natural pigments. When the pigments fade, the hair will be left lighter than before color application. 3) Read home color kits carefully because the words “semi” and “demi” are often used interchangeably in marketing. Check ingredients for hydrogen peroxide (also called dioxidane and dihydrogen dioxide). Peroxide will indicate that its demi-permanent color. 4) Ammonia is just one of many alkalizing agents, so it can still be a permanent hair color if it says “ammonia-free”. Alkalizers are more difficult to identify since there are so many, but the most common are: mono-ethanolamine (MEA) and ammonium hydroxide. Also look for compatible ammonia derivatives such as alkylamine, ethylamine, triethylamine, alkanolamine, monoethanolamine, triethanolamine, or aminomethylpropanol as well as alkali metal carbonates such as sodium hydroxide and potassium hydroxide.